“I regret the day that I hesitantly clicked ‘maybe’ on the invite to be a part of the Lexington Tattoo Project, with the reason being (at the time) that I couldn’t think of a place on my body that I would want another tattoo. In retrospect, I realize that it wasn’t about that issue at all. It was because I wasn’t ready. And I wasn’t ready because I wasn’t the ‘real me’ yet. When Love Letter To The World came about, I was ready. I was so ready that I became an ambassador for the artwork, with the launch to be made at Burning Man 2014. I had been to Burning Man for the first time the year before LLTW launched and had had an experience like no other. I’d heard about Burning Man while in architecture school, and had marveled at the philosophy behind the event. It was a validating trip for me and my life. I felt small, yet significant. My mind, imagination, beliefs, and actions matter in the grand scheme of things. I felt the same way when I read Frank X Walker’s words. The attentiveness with which he describes the magnificence of the world and how we are safe, guided, and reminded to always be mindful hearkened back on my Burning Man experience. to remind us of how small we truly are. My reasoning is simple, yet significant. A side effect of going through architecture school is an inflated sense of ego. You can decide whether or not it is warranted, since our buildings change every buildable landscape and skyline that exists, and hold in their halls the life, safety and welfare of their inhabitants. Life in the modernized, consumer-based, capitalist West also has an inherent arrogance. Make it, buy it, or take it—whatever’s easiest in most cases. While Burning Man is the response to capitalism and commodification, tornados and hurricanes reduce design to dust. I chose ‘how small’ to remind myself to always be humble and helpful, while staying curious and creative. I put the tattoo on my left shoulder blade where heavy loads and heavy responsibilities are borne. I am responsible not only to myself, but to my city, my state, my world, and everyone in it. Small things like me matter. Small ideas matter. With goodness at the center, they can grow monumental. And here, mere hours from the premiere of the Cincinnati Tattoo project, I am reminded again how great ideas can spread, one pin prick at a time. “I have always loved the art and aesthetic of tattoos. An individual’s body art can tell you a lot about that person, because each piece tells its own story. Some people have their children’s names, a home flag, or even portraits of their pets. My best friend, Elizabeth, had no tattoos when she first talked to me about Love Letter To the World. I already had several, so she knew that this was something I would appreciate. We were seniors at Transylvania University, getting ready to embark on the adventure known to some as ‘the real world.’ This isn’t a term I have ever really agreed with, but I did know that my life would be changing. We would soon be graduating, moving to different areas, getting jobs, going to graduate school, and I would even be getting married in the Fall. Elated at the idea of adding a piece of art to my collection to commemorate this time in my life, I said that I would join her when she went to get her tattoo. When deciding on which part of the poem we would get, we unintentionally chose lines right next to one another: ‘about change’ and ‘about revolution.’ When deciding on a placement, I wanted something intimate, like change. My back became an obvious choice: while somewhat intimate, it could still be seen in the right setting. On that day, I held Elizabeth’s hand as she got hers, and she held mine. After graduation, the big move, the school decision, the job search, October came. 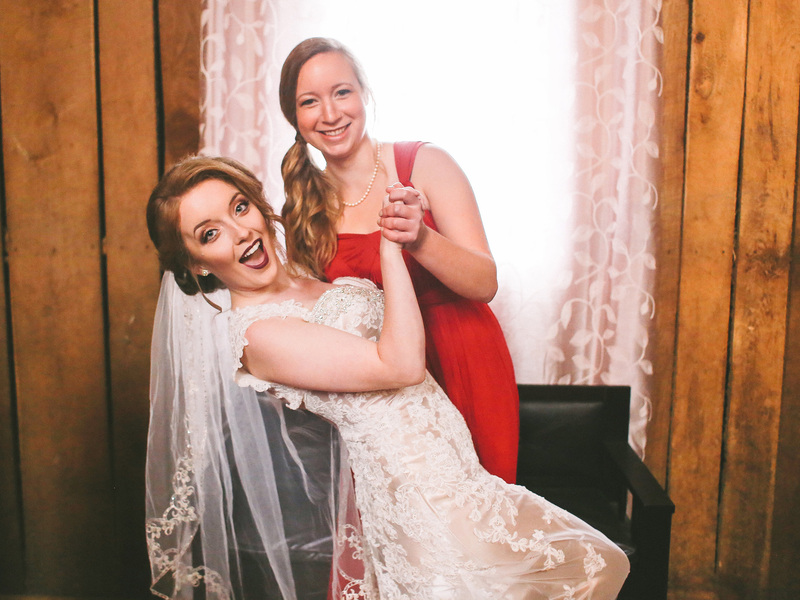 On the third, I began perhaps the biggest adventure of my life: I got married. 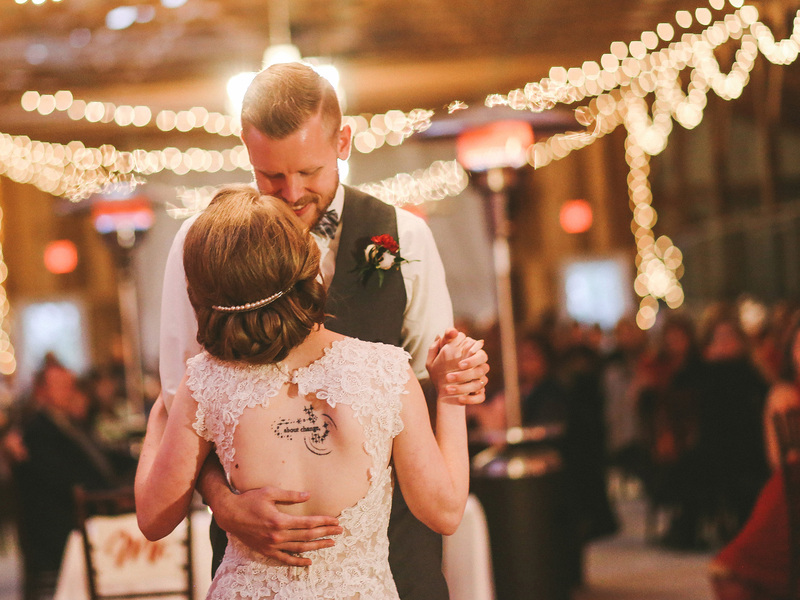 I chose a wedding dress that would showcase the tattoo, because change (and love, of course) was the theme of the day. Everyone asked if I was scared or nervous about this life decision, but I never was. I found myself being more excited than anything. It became even clearer to me why the line ‘about change’ spoke to me; I embrace change in most aspects of my life and view it as a good thing. So many people fear change, but I’ve learned that not only is it inevitable, it can also be wonderful. Change is growth, change is life. “My story begins back in 2013 when I first met the fascinating artist duo that is Kurt and Kremena. I was conducting one of the first interviews that would later become part of Lexington Art League’s Artist Archive. Amazed by the community-based projects the pair had already completed, I was equally as excited to see what they’d do in the future. At that point, the Lexington Tattoo Project was complete and the video was scheduled to premiere at Buster’s a few weeks later. To say I was bummed to have missed the boat is an understatement. I knew that if they ever did anything like it again, I had to be involved. While scheduling my tattoo appointment, I thought hard about my choice and wondered why I had so quickly gravitated towards these words. Looking at my calendar, I noticed a milestone coming up in my grandparents’ relationship. I immediately realized how heavily inspired my choice of words was by their story. My Granny Fifi first met her future husband at the young age of 16. His name was Aly and she mistook him for a friend of her father’s just visiting for dinner. At her age she wasn’t interested in marriage and was actually in love with her cousin. Only two weeks after that meeting, she was forced to marry this 34-year-old man. An arranged marriage with an 18-year age difference did not stop them from leaving Egypt together, moving to America for his career, building their home that they still live in, raising three children, and falling deeply in love. To this day, they share an overwhelming amount of love and remain the most inspiring couple I have ever known. Even as Papa Aly struggles with Lewy Body Dementia with Granny Fifi as his sole caretaker, they live on in the little world they created together. Their story is a perfect example of two very different worlds that unexpectedly came together to create such a beautiful one of their own. I got my tattoo on September 30, 2014, their 60th wedding anniversary. The day came and I headed to Charmed Life. I was thrilled to be tattooed at the shop where most of the Lexington Tattoo Project tattoos had been inked. I nervously clenched my boyfriend’s hand, shocked by how little my tattoo hurt and how much it tickled. My tattoo has become a daily reminder that every passing stranger is living a life deeply rooted in private circumstances that we may never have the chance to know about. I often find myself too caught up in the daily struggles, petty squabbles, and complications of my own world. My tattoo allows me to step back and realize that everyone else is also living their own life in their own world. I think the most we can do is to always remember the greater universe we’re all a part of, to live happily in our own little world and, if we’re lucky, be a part of someone else’s too.